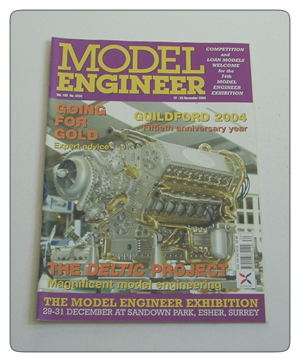 Vol 193 Issue 4234 (12th November 2004) of the British Magazine, Model Engineer. Features in this issue include Fairburn’s column engine, M.Y. Otto Di-cycle, shaft/ hole assembly tip, the simplest dividing attachment in the world and North American steam locomotive builder’s plates.